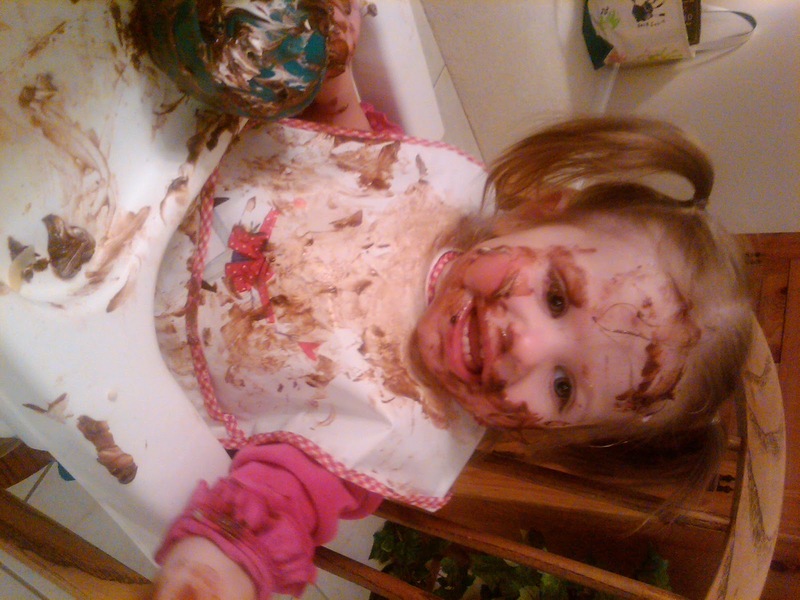 So, any volunteers to bathe this child? 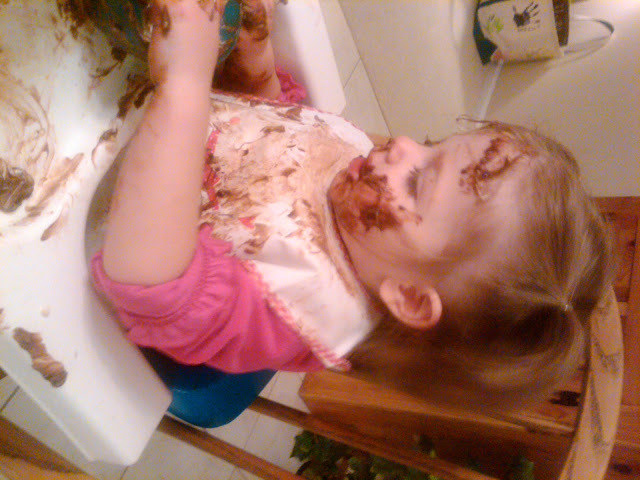 No thanks :) She is darling though..
Now you see why Claire has taken multiple baths in the kitchen sink. we used WV as our excuse, but don't worry, we won't judge you if you resort to that. 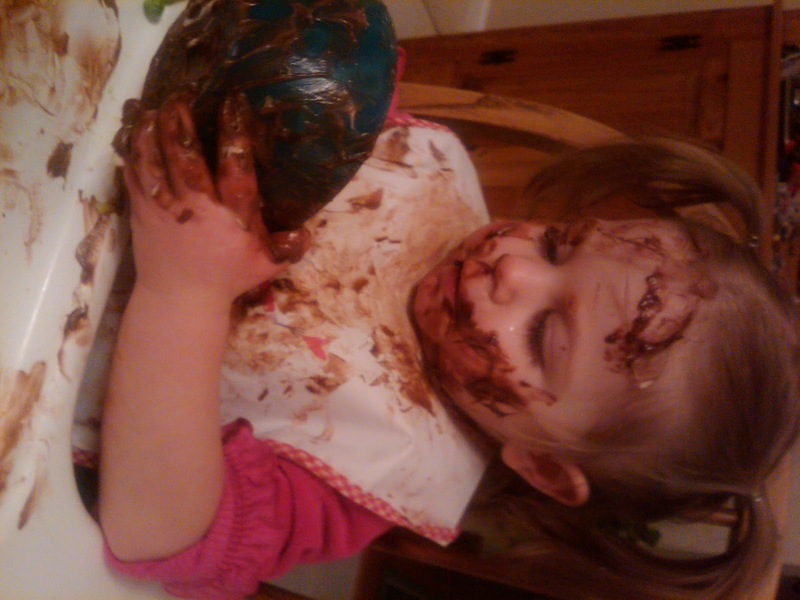 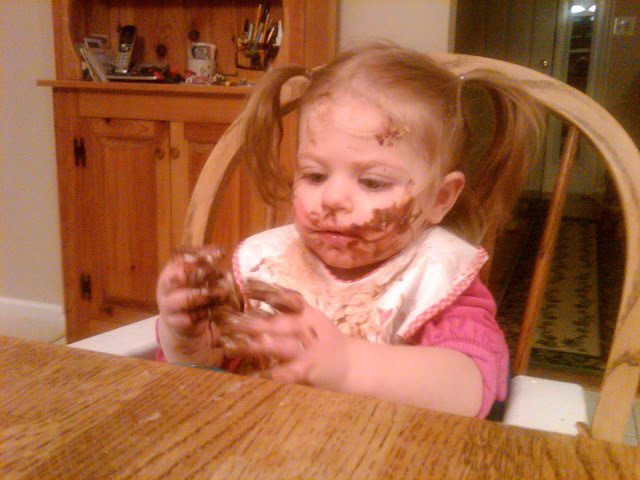 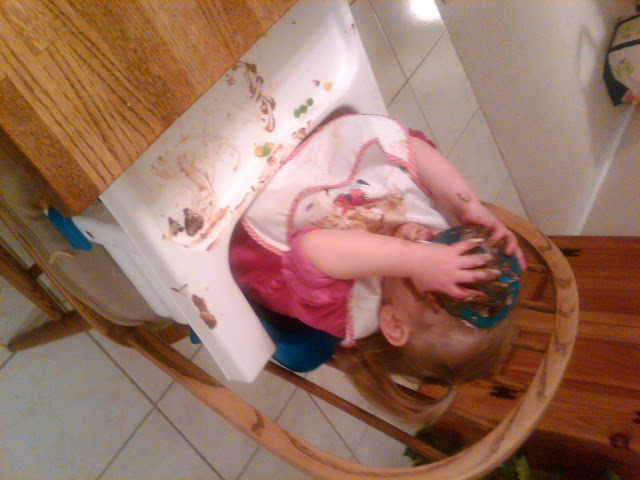 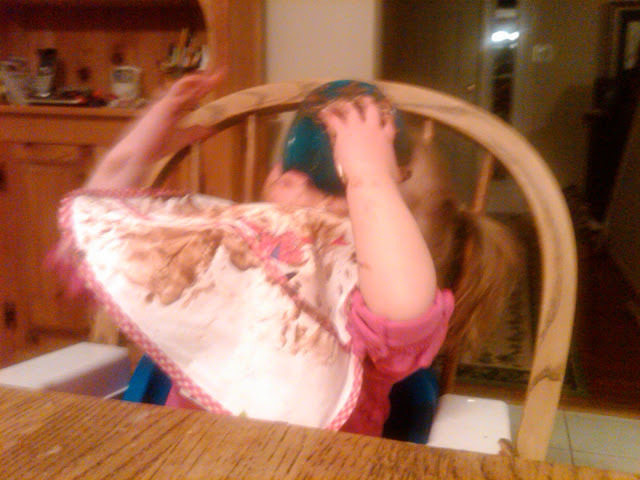 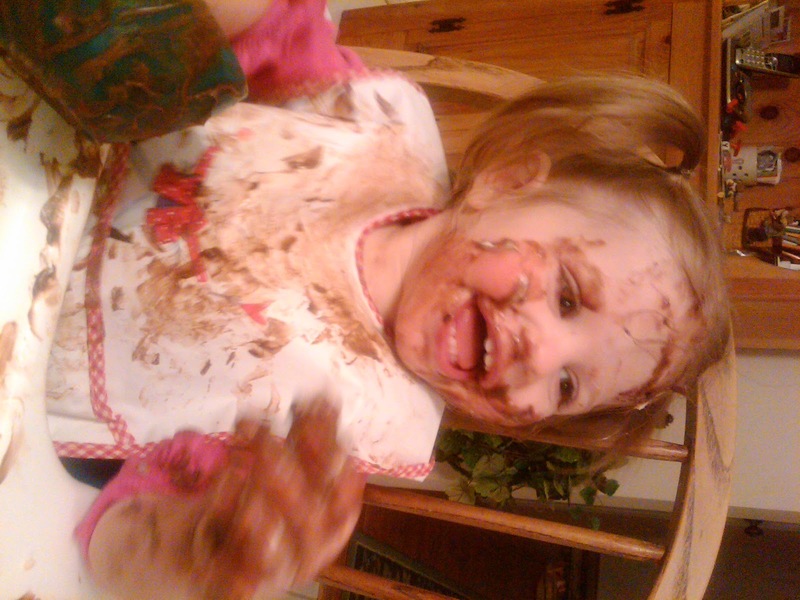 :) Very cute pictures--Autumn, Ifeel the same way about chocolate pudding.